…Continuing on from my last post: Best Photos of 2010 Part I: January – June. Here are what I feel my best photo’s from the second half of the year are. The peak of this was my July-August trip to Norway’s Lofoten islands and Jotunheimen national park. Otherwise, a week in Scotland at the end of October was really the only other productive period of photography for me. The second appearance from the Lofoten islands on this list. While the islands are more commonly pictured as jagged mountains rising from the sea, I feel this image helps portray some other aspects of islands: the sea, the light, the silence. Only towards the end of July does the summer sun leave the sky, yet the night still remains a few weeks away. This leaves an ever lengthening period of twilight as the sun travels further below the horizon. 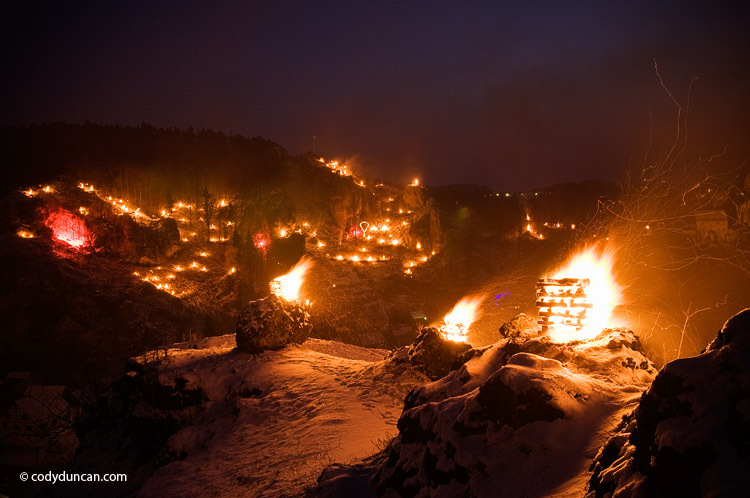 It is during this time when the magical light of the north occurs. 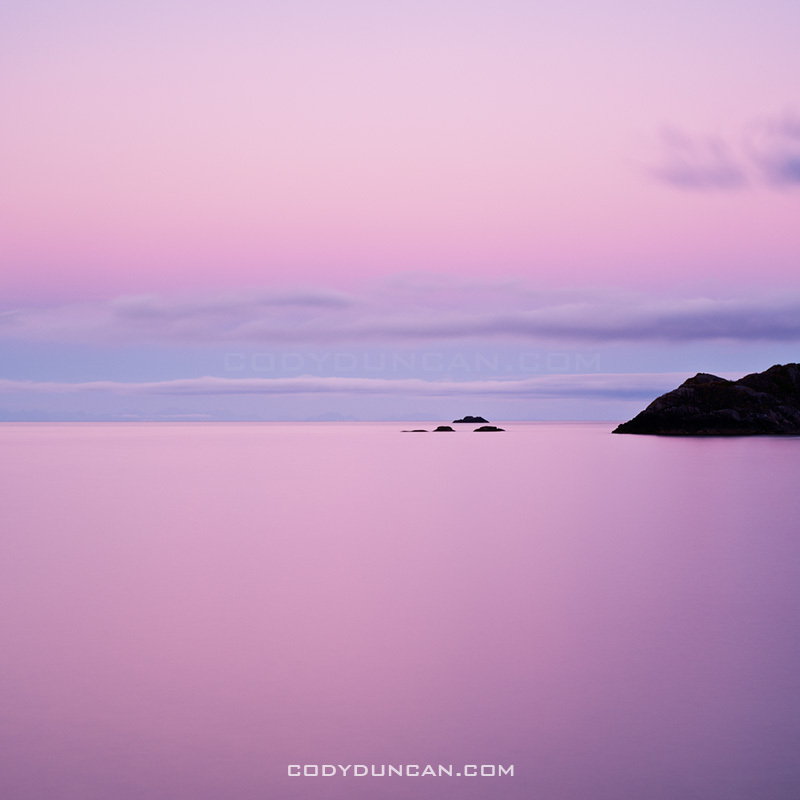 This images was from a calm night, just a short walk out to the coast from the wonderful hostel at Stamsund. I’ve stood in this exact same spot a dozen times, and walked away with a dozen different photos. If I’m lucky, I’ll return again and again until I’m an old man. Click here to view the entire photo gallery from my Lofoten Islands summer trip. This was the view only a short walk from my tent in Norway’s Jotunheimen national park. The weather was good this day, so I stopped here hoping this view would provide something spectacular for sunset. Increasing clouds throughout the day led to a dance of shadows across the land. While the sunset I was hoping for never arrived, I feel this image is an adequate representation of the brilliance of this location. Another place that I’ll have to return to in the future. Click here to view the rest of my images from Jotunheimen national park. I wont lie, this is more of a filler photo from an unproductive month. It was a nice autumn day out hiking the the Black Mountain, but that’s about it. In late October I found myself out on the Scotland’s Western Isles. 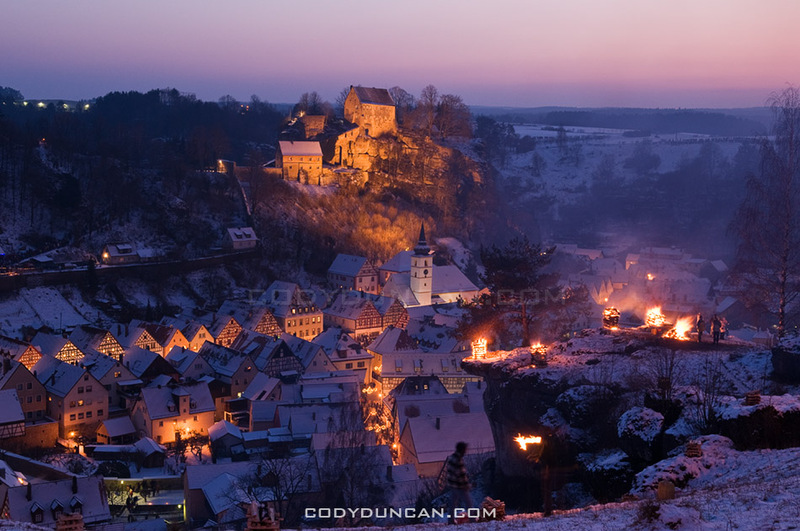 I had originally intended to travel here last year, but as normal, plans changed. 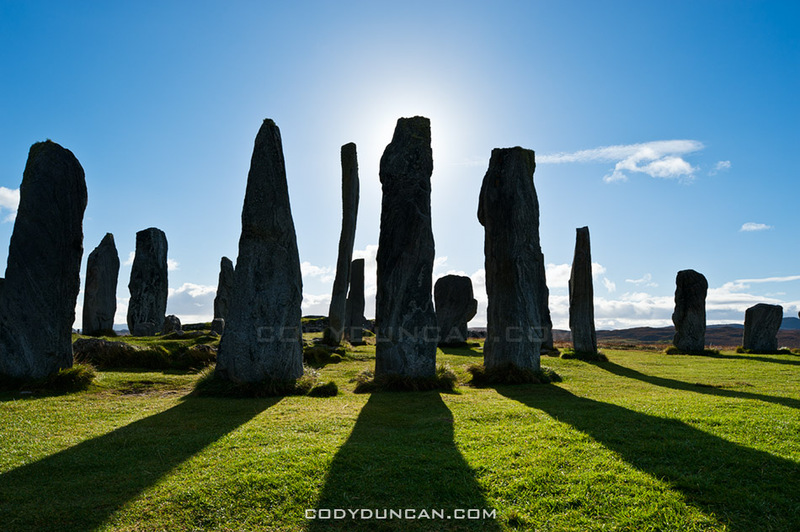 I got lucky when I arrived at the Callanish standing stones in the late afternoon with clear skies and calm wind, about as good of conditions as can be hoped for out there. This photo is just a simple silhouette, yet for some reason it jumps out at me. Click here to view photos from my Western Isles trip. I was a bit torn as to what to add here as late November brought a deep freeze to the UK, but I thought this image of the last day of autumn (before the snow) just had some magical light. 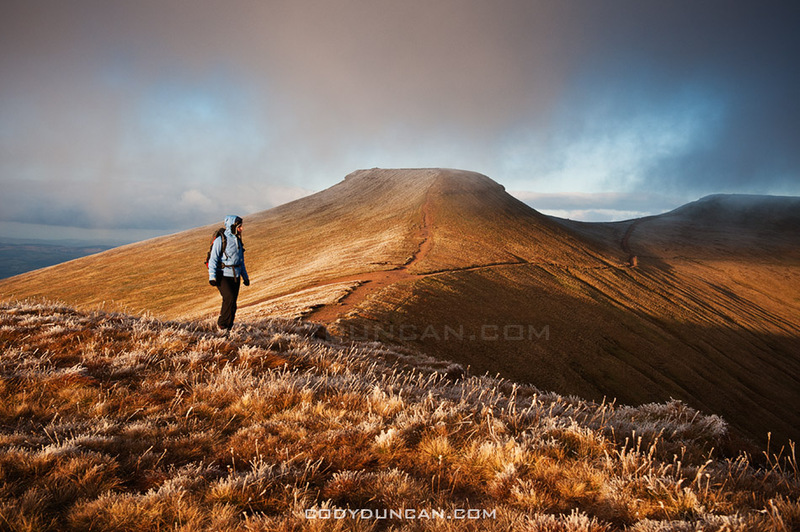 Typical Welsh weather of clouds, sun and shadows while hiking around Pen Y Fan in the central Brecon Beacons mountains. Llangorse is the only sizeable lake in the nearby area. Despite this, the beginning of December was the first time I’ve ever been there. And that is mostly because the roads have been too bad to go anywhere else. 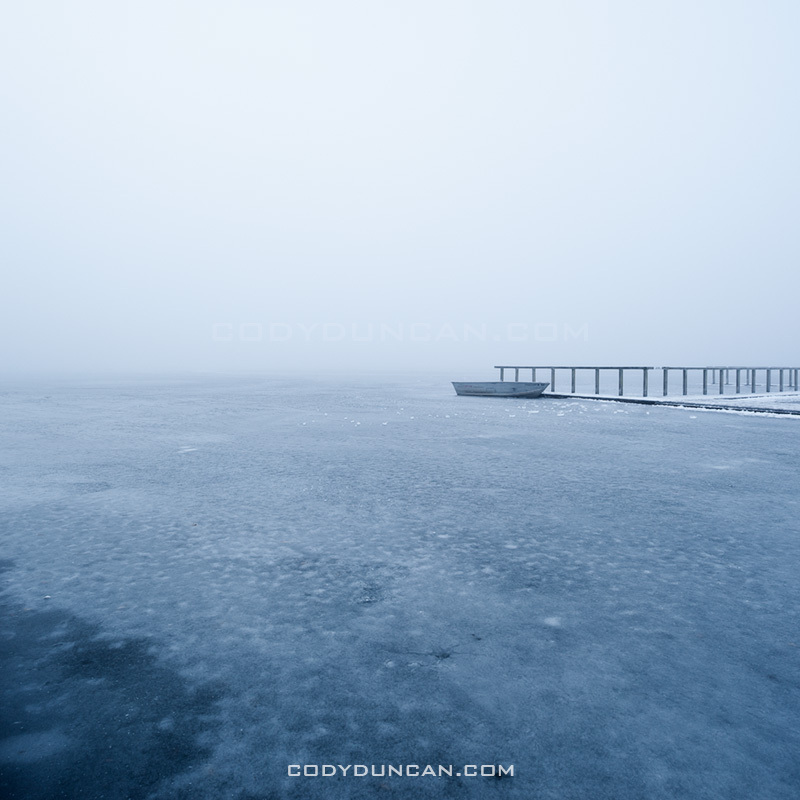 For some reason I became slightly obsessed with getting a proper frozen lake image. 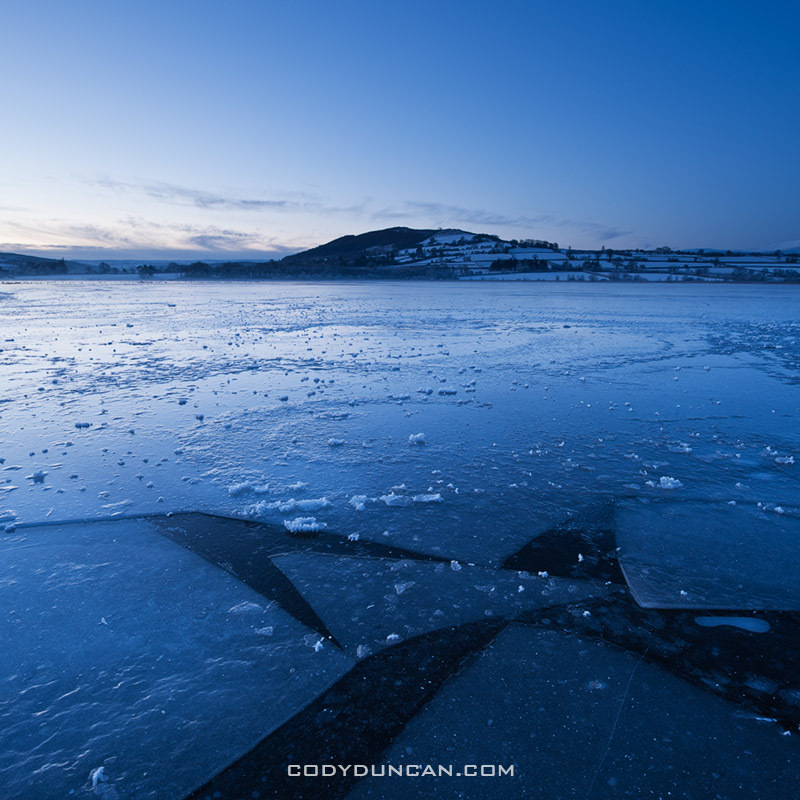 On my first visit I fell through some ice and had to leave early before any decent light. With my second time I was greeted with impenetrable fog. Finally on my third visit I had some clear skies, though the light is nothing special. 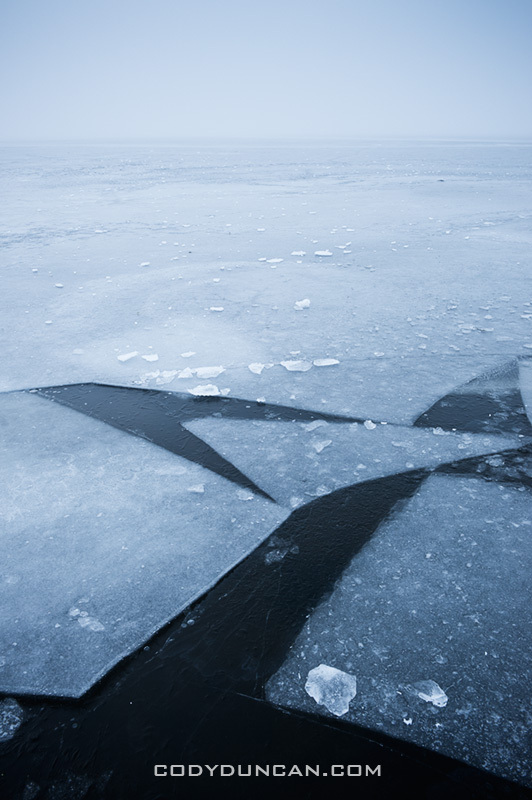 The surface of the lake is a bit messier than I would prefer, but at least the broken pieces of ice add some interesting shapes to the image. I’ve put together a list of what I think are my best image from each month of 2010. That’s not to say these are all my best images of the year, as nearly all of them would have been from the Lofoten islands in January. It’s been a good look at my consistency throughout the year. There are definitely a few filler images from months where I wasn’t able to shoot much for whatever reason. I’d say, April, June, and September are the weaker images of the year, Jan and July my favorites. This was a difficult month to pick only a single image from. The 6 days I spent on the Lofoten islands at the beginning of the month were some of the most inspiring days I’ve ever had. Jan 6th in particular, my first full day on the islands, was especially memorable and the light was simply amazing. I was completely frozen after a chilly night sleeping in a wind rocked car. When dawn arrived in mid morning, all was perfectly calm with a brilliant pink glow. It was one of those days that I wished I could have been in 100 places at once; there were so many photos to be made, yet only a painfully few 4 hours of light of the arctic winter day. 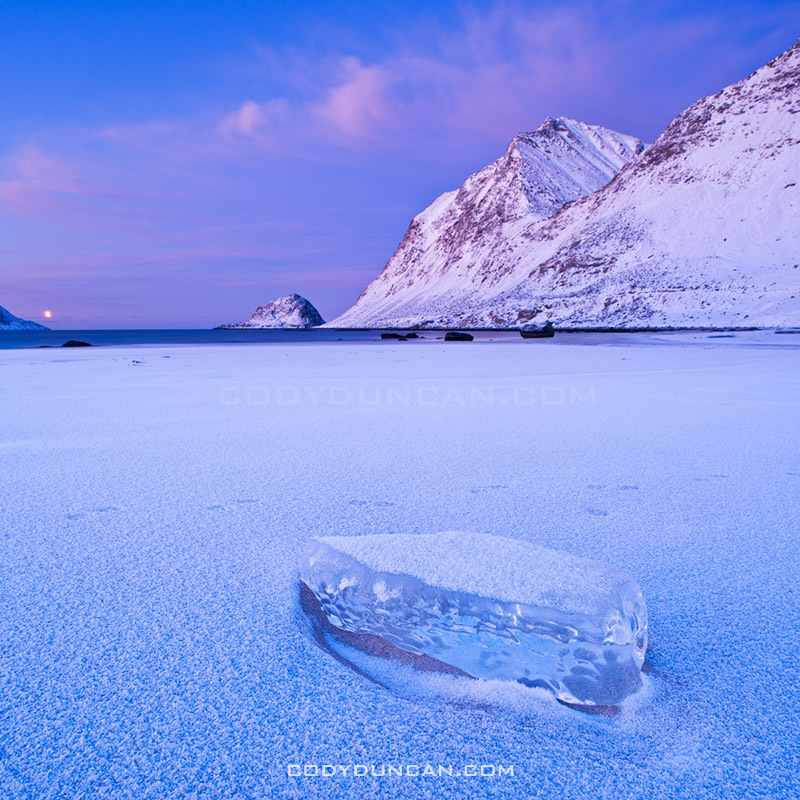 This image is from Haukland beach and the first place I stopped in the morning. It was nearly perfectly still, only the gentle waves that seemed more like a lake than ocean disturbed the silence. While several images from this location could easily be my favourite images, I think this is the best. 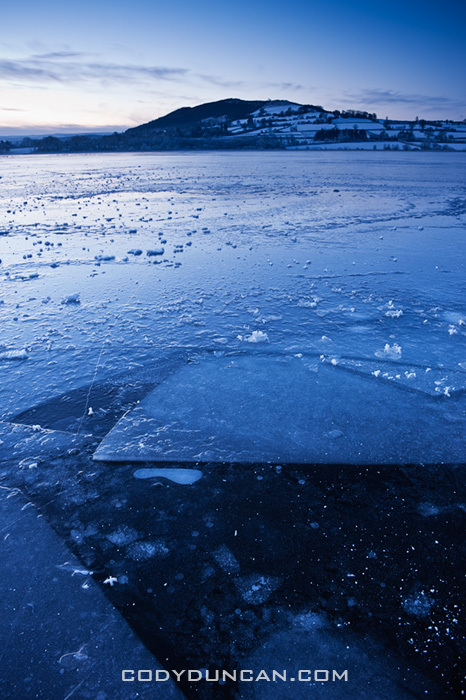 For me the single piece of ice helps show the isolation of the frozen beach and lets the cold reach out to the viewer. I only stopped shooting at this location when I wasn’t able to feel my feet for some 30 and decided I should try and warm up a bit. My only critique is the otter tracks that pass through the image. Another difficult month to choose from, mostly due to a fairly productive trip to Death Valley towards the end of the month. After having spent the autumn and early winter in Scandinavia and the UK, I was in need for a bit of a change in scenery. So I headed out to explore some parts of Death Valley national park that I’ve never been to before. This image is from the Devil’s Racetrack, more commonly know as the location with the moving rocks. Unfortunately, the above average winter rains had flooded the southern part of the lake where the rocks are, leaving it impassible due to the danger of leaving permanent damage to the fragile area. Fortunately the northern half of the playa was dry and walkable. A bit bored, with my planned shooting location off limits, I thought I’d just go lay down in the middle of the lake. It was quite amazing really, all alone in the middle of nowhere, full moon overhead, cold night temperatures of winter desert, some AM talk station coming out of the radio. I stayed out there shooting late into the night. 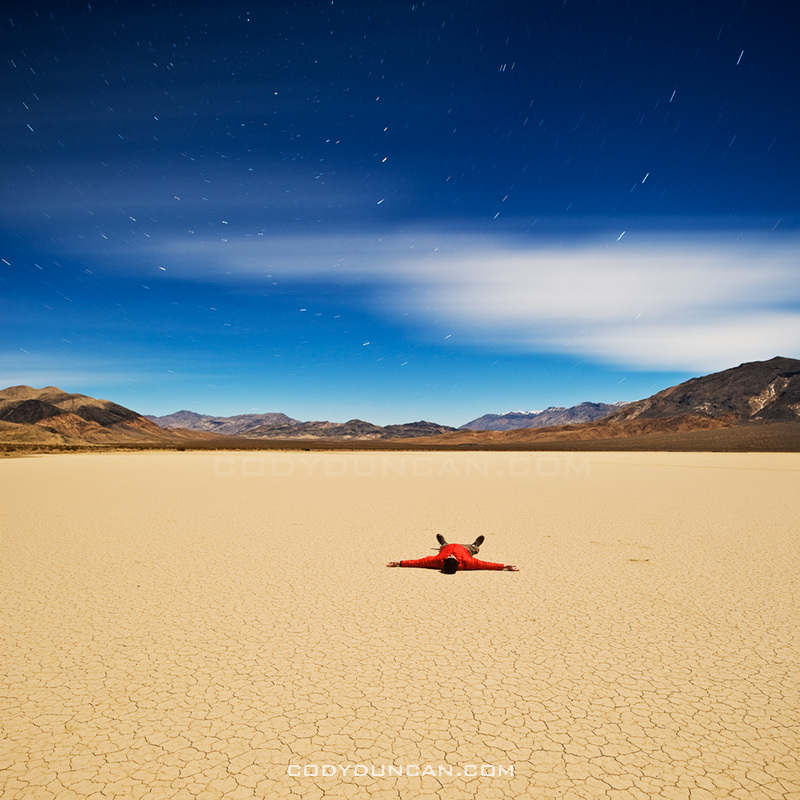 My last journey to the Salton Sea was in 2005, or was it 2004? Can’t remember at the moment. Anyhow, in March, before temperatures became unbearably hot for me, I headed down. I had been to this location on my last trip, so as I arrived in the dark of early morning I thought I knew where I would be. How I was wrong. The sea level was now far lower and the shore nowhere near as I remembered. Anyhow, as I explored a bit, I found this cool old dock just as the first light of the sun was arriving. In 2005, lightning strikes started the Hackberry fire which swept thought the high desert area of the Mojave national preserve. 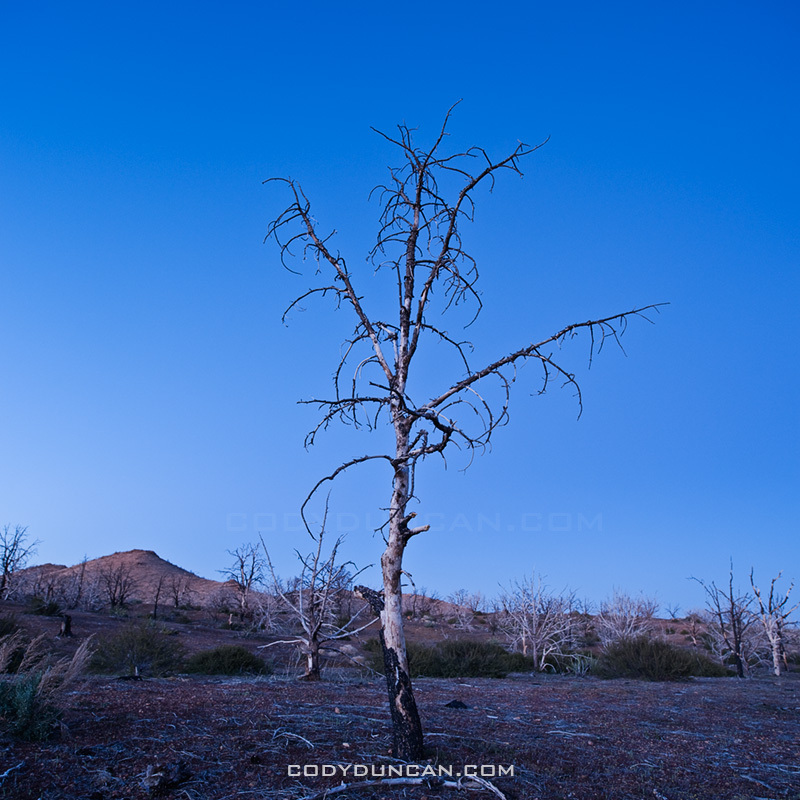 On the first night of a 4WD trip of the Old Mojave Road, we camped at the Mid Hills campground which was partially burned. I’d never been to this area, nor heard about the fire, so It was quite interesting to see a charred desert landscape. Nearly five years to the day of my last trip up Mt. Whitney, I found myself looking at the mountain again. It was sort of a last minute trip, but everything worked out and I made a successful climb of the mountain. This is the view from my camp at Iceberg lake towards the east face and Mountaineers route of Mt. Whitney. 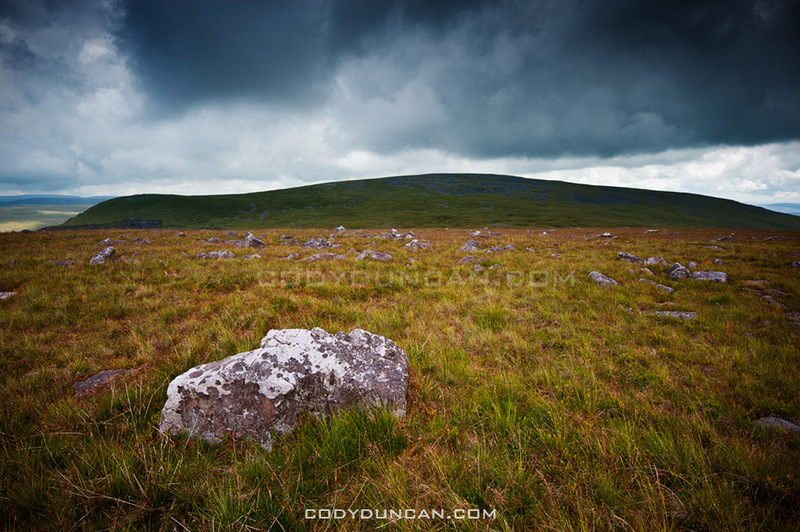 Black Mountain is the westernmost range of Brecon Beacons national park. Just an image from a less-than-sunny day wandering among the mountains. With snow once again falling here in Wales today, I thought I’d post a slightly sunnier picture to change things up a bit. Though this picture actually helps illustrate one of the benefits of winter, no bugs. 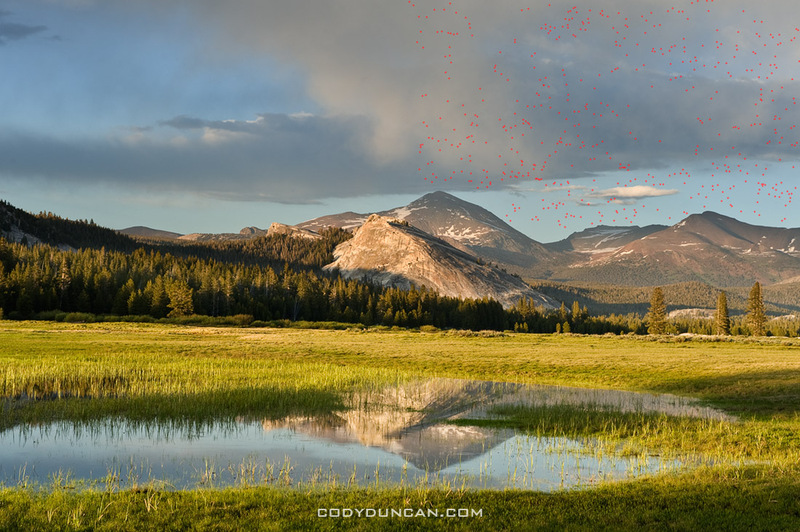 This is from summer in Yosemite’s Tuolumne meadows. As scenic at the Sierra are in mid summer, I usually stay away until a bit later in the year. This photo is a perfect illustration of why. Mosquitos. It took me a minute to figure it out at first. I was wondering why my camera sensor was so dirty looking as I was cleaning up the photos from this part of the trip, but it wasn’t a dirty camera/lens. I’ve gone ahead and put a mark where there was a mosquito somewhere in the photo. I’ve only done about 1/3 of the image, as it was taking a while, but I think the point is made. click image to view larger. With clear weather forecasted for today, I looked out the window at 5am to see a nice starry sky. 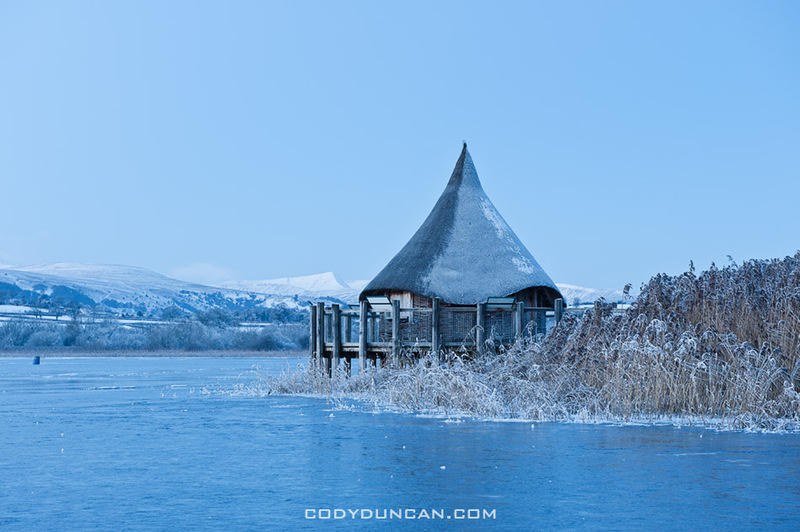 A little bit more sleep and then it was time to head back to Llangorse lake for another attempt at sunrise. Arriving at the lake in the pre-dawn darkness, the skies were clear, no fog today! Gradually as the sun rose some clouds arrived in the east blocking most of the first light that should have lit up Pen Y Fan off in the distance. Oh well, guess another trip will be scheduled for sometime in the next week. Woke up early this morning to watch the fog at Llangorse lake. Well, it wasn’t the plan to watch the fog, but that’s about all I was able to see. 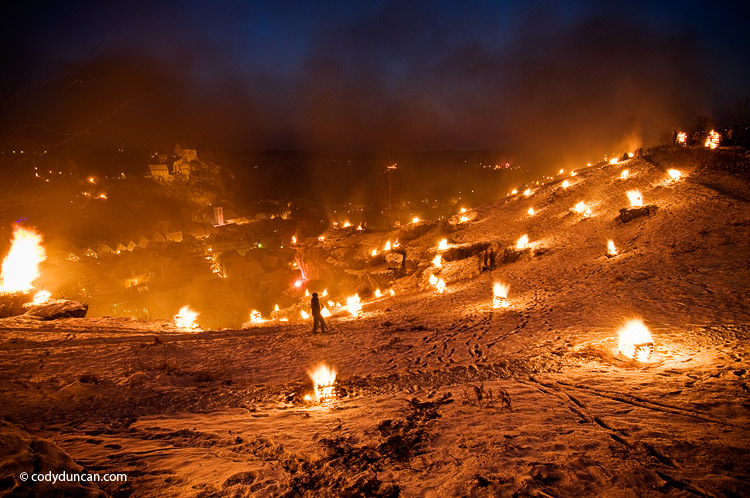 I was here yesterday evening, but an unfortunate accident – me breaking through the ice and plunging my leg into some frozen pond – meant I had to go home an warm up instead of waiting for twilight to arrive. Today, fog. The temp was only -5º C at 6am, but today is feeling really cold for some reason, even now at noon when it’s only -2º C. I’ll have to wait a few more days before I can head back and try to get the Photos I was looking for. 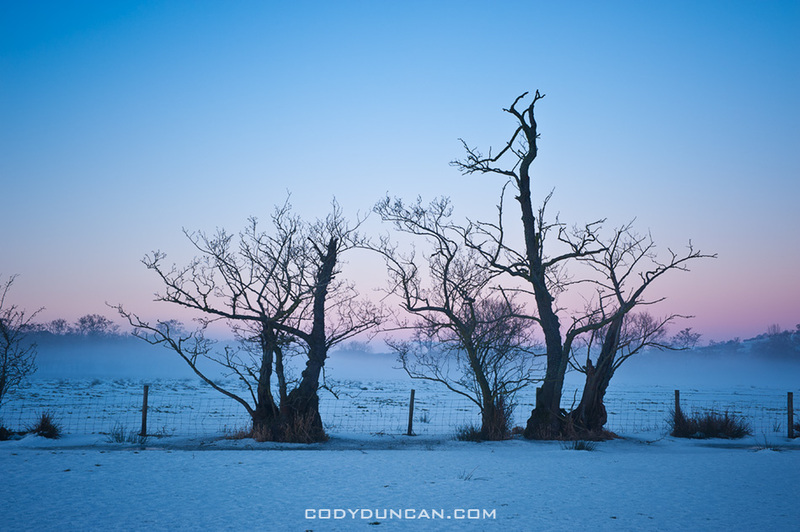 Photo: Ground fog over frozen farm field in winter twilight, Llangorse lake, Brecon Beacons national park, Wales. 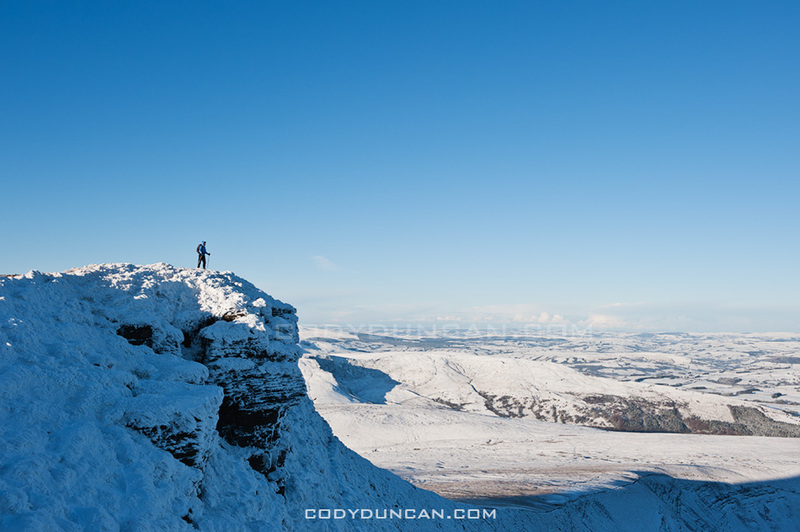 A few more photos from Pen Y Fan and the Brecon Beacons on Sunday. 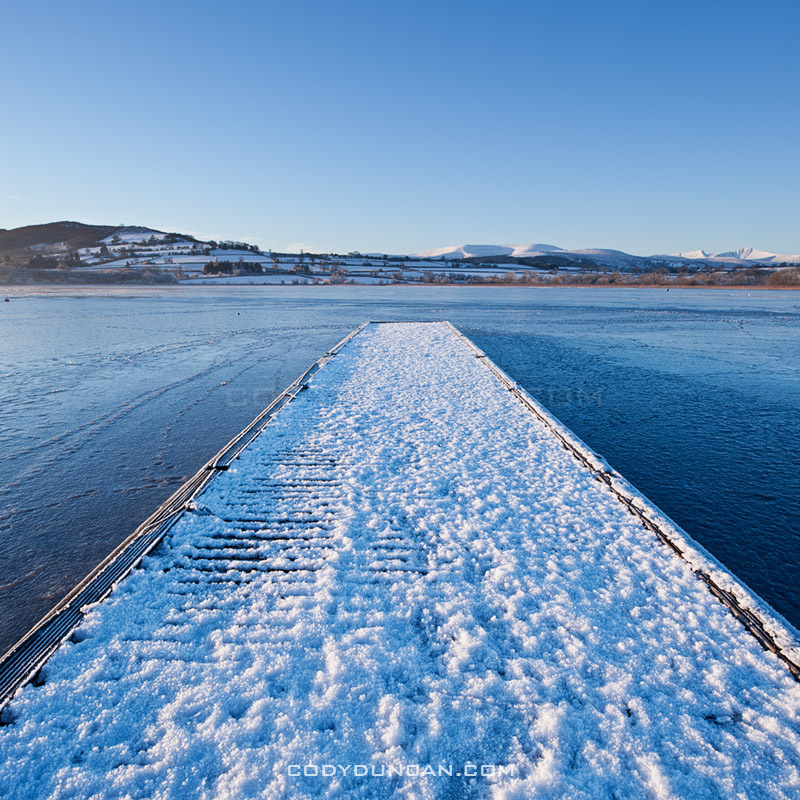 The last few days have seen the temperature rise to around 0º C with several more snowfalls, but nothing like last week. Still a very wintry landscape and since they don’t use snow tires (or should I say tyres) here in the UK, they tend to drive like Californians do when it rains; not very well. Here in the countryside many of the roads don’t get cleared from snow, so it can be a bit difficult to get around. Almost got stuck up in the mountains on Tuesday on the way back from checking out the waterfalls at Ystradfellte to see if they’ve begun to ice up at all. 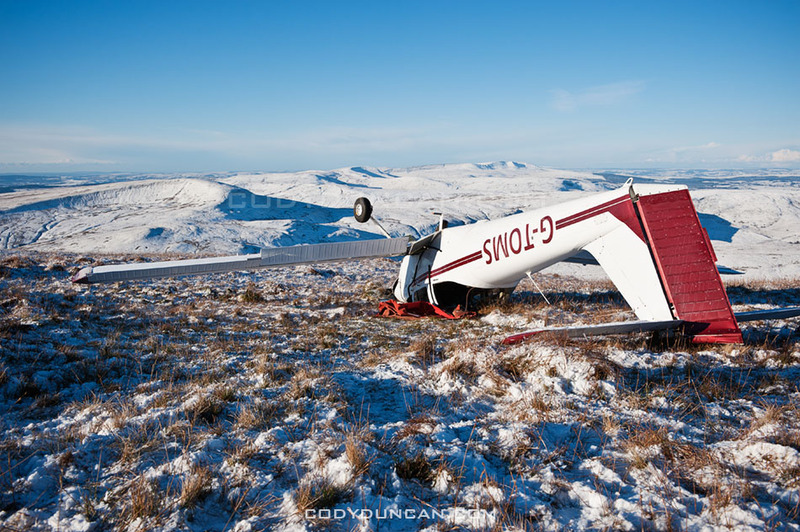 On Friday this plane crashed up on the ridge near Pen Y Fan. 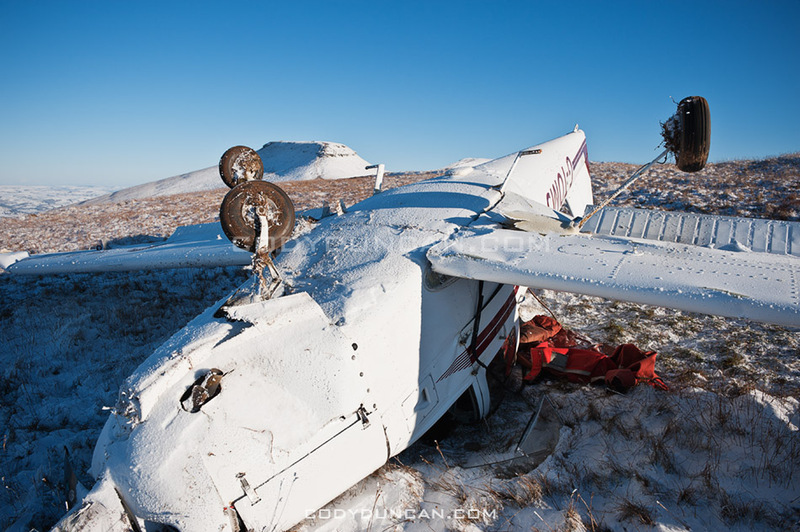 Looks bad but apparently the pilot was able to crawl out and walk away. Pretty amazing. The Russians have been kind enough to send an express delivery of Siberian wind from the east to the UK. 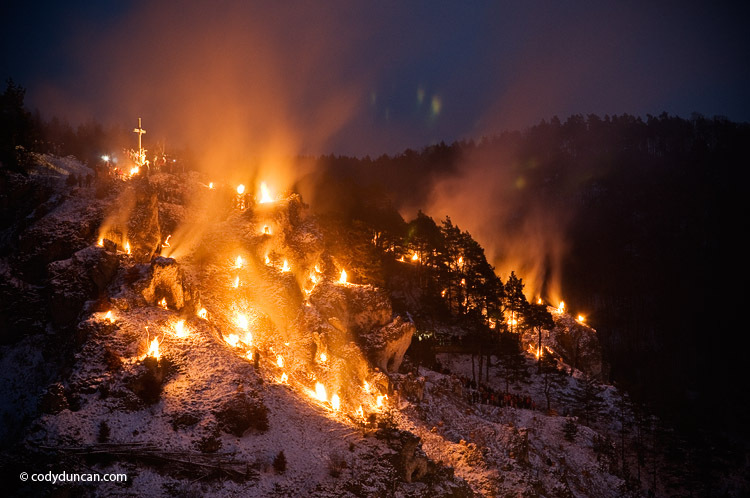 The results sent temperatures plummeting and brought the earliest widespread winter storms since 1993. 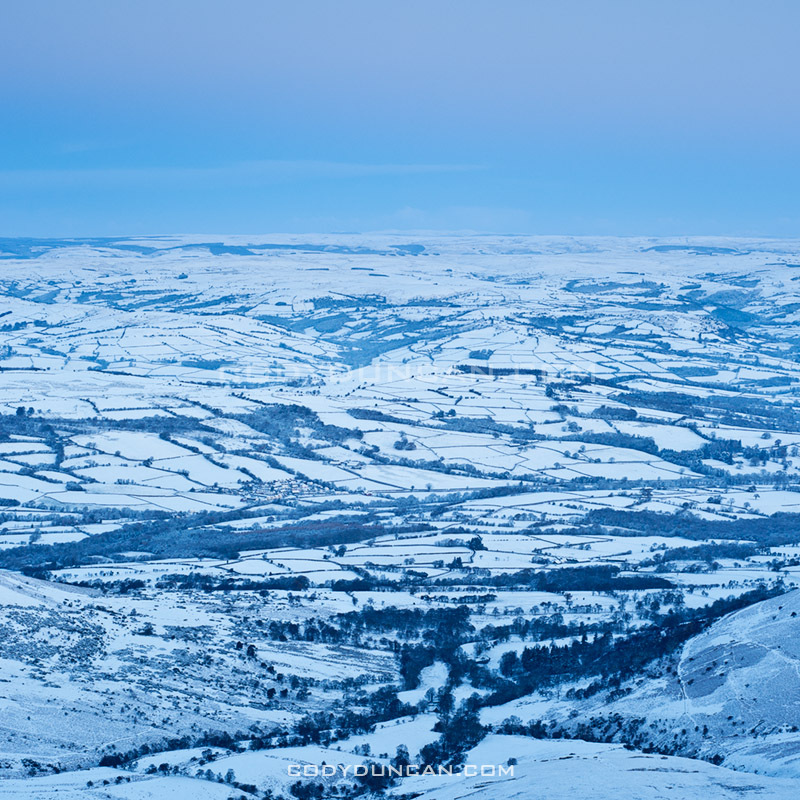 Saturday night saw Wales with the coldest temperature in the UK at -17 degrees Celsius, somewhere towards the left horizon of the above photo, about 20 miles north from Pen Y Fan. However I didn’t know any of this when I thought I would head to the hills for sunrise on Sunday. All I knew was that clear weather was forecast and hoped for a good sunrise. 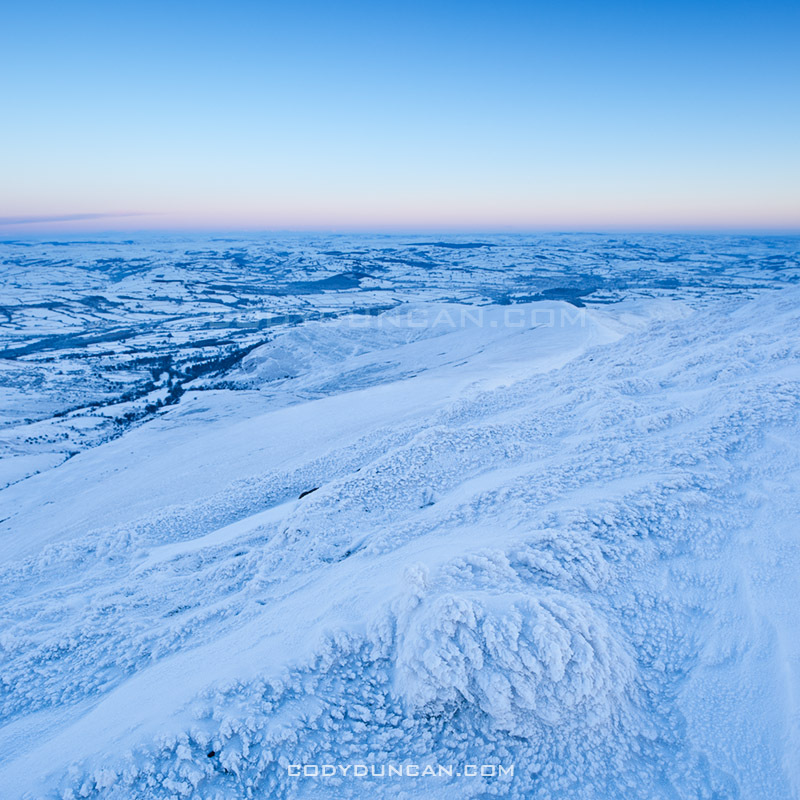 So instead of taking shelter in a warm house, I set the alarm for 4:45 am; intent on heading up Pen Y Fan for sunrise. Waking in the darkness of early Sunday morning I checked the outdoor thermometer, -11.5. Hmm, better take another jacket today. I hit the trail a little after 6 am, the dawn glow barely visible above the mountains in the east. It was eerily silent as I walked through the dark and frozen world, the crunching of snow beneath my feet the only sound. The wind arrived once I hit the ridge and was exposed to the east. Brutally cold, and a shock for November in what should normally be the mild weathered UK. A low bank of clouds in the southeast blocked most the color of the sunrise unfortunately, but the views were still amazing and the air amazingly clear.